Sign-up for the current round! As you may have noticed, there wasn't a new round in months and the participation in the last rounds was very low. So, even if hertbroken, I will put this community in hiatus and see if in future the icon community will grow up again and if there will be again interest in these movies. So, until then, goodbye friends! Thank you for all your amazing icons and your participation! Hope there will be a future for this community. And happy holidays you all! Thank you so much to all of the voters and participants! Congratulations to the winners! - Please note that the voting poll results are screened. - Let me know if something doesn't work! Hello! Friendly reminder that you have 8 days left to finish your icons for this round! We have only 2 artists signed up and I'd love to see more people for this round, so remember that you can still join us HERE and ask for an extension as well! You can find claims, themes and table HERE. Hello! Friendly reminder that you have 15 days left to finish your icons for this round! We have only 2 artists signed up and I'd love to see more people for this round, so remember that you can still join us HERE! 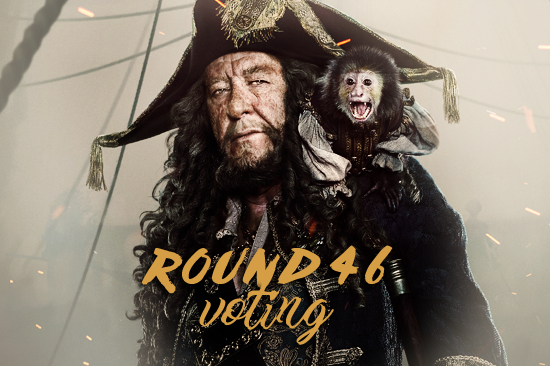 Thank you for signing up for round 46! We currently have 2 participants, but remember that sign-ups will remain open for the entire duration of the round: the more the merrier!